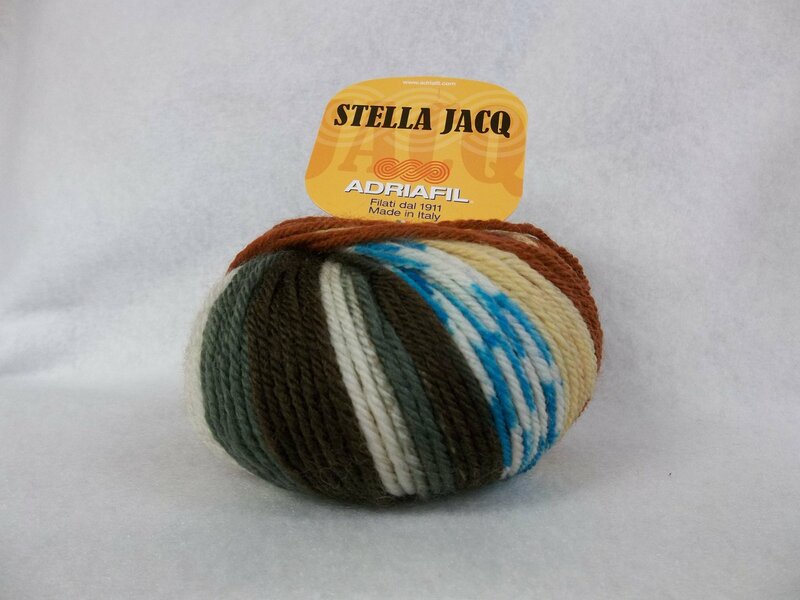 Stella Jacq is self-striping, 100% wool superwash yarn of worsted weight. 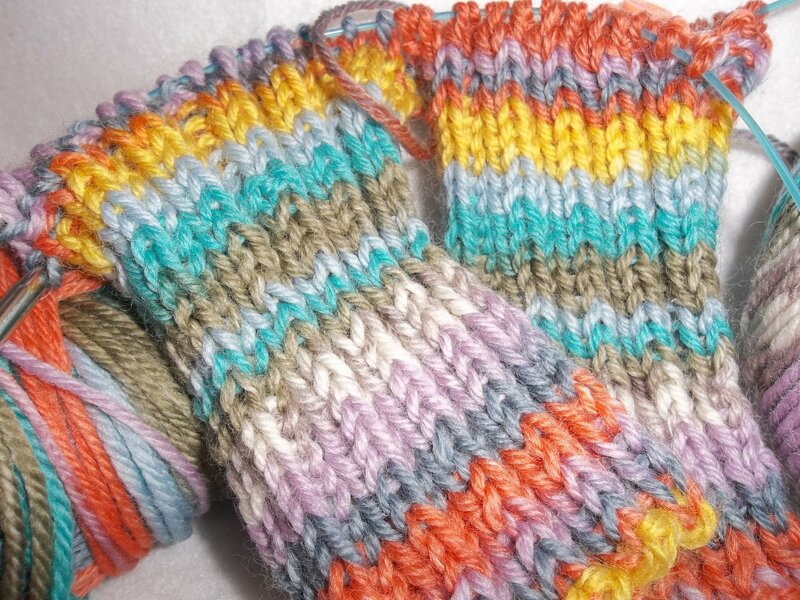 I stripes and checkerboards in a variety of colors! Fabulous for kids wear! 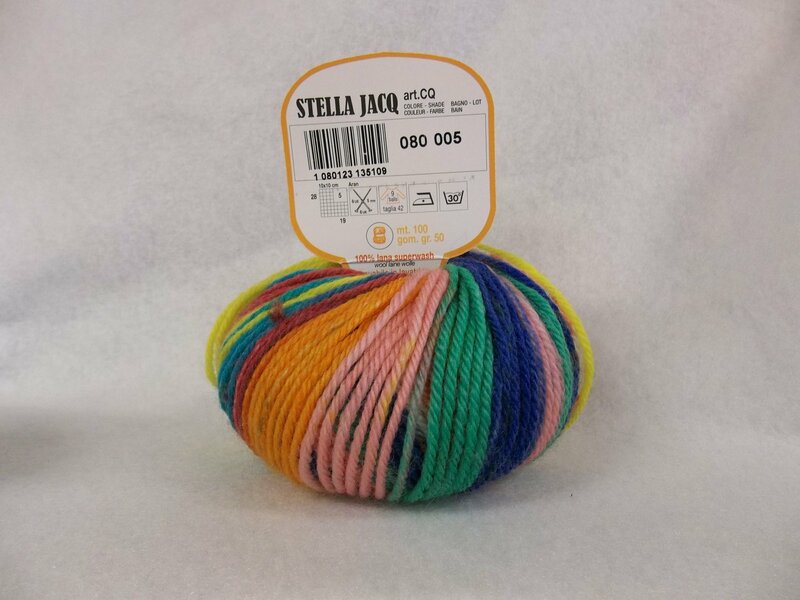 125 yds./100m on each 50 gram skein. 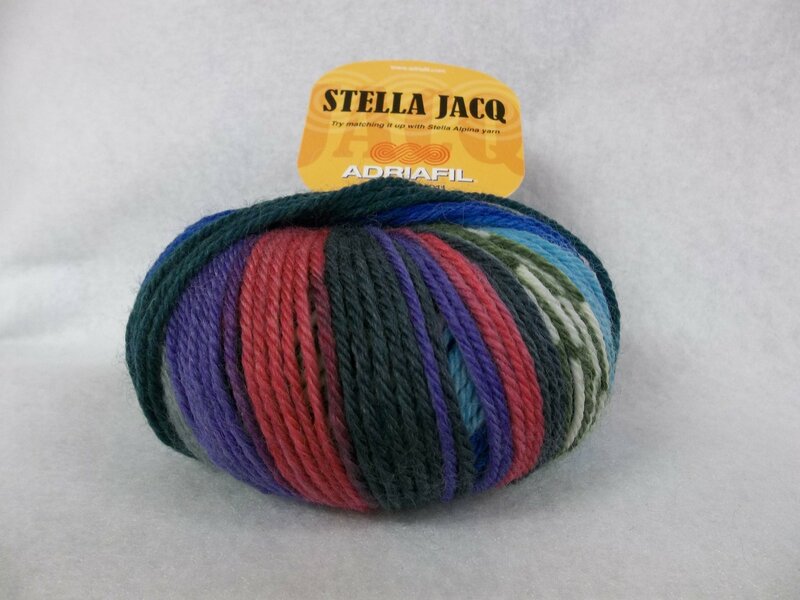 Knits to about 19 sts. per inch on a US8. Machine wash. Lay flat to dry or tumble dry low.